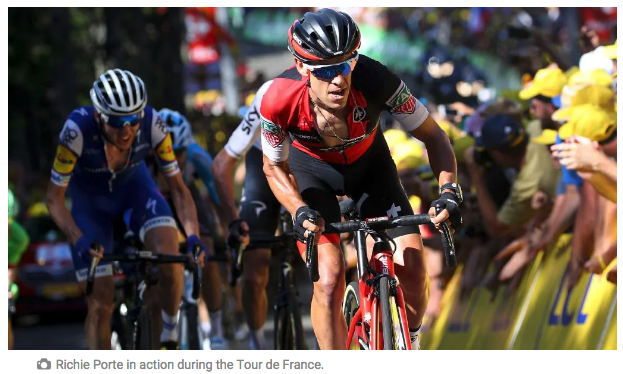 It has been confirmed that one of Australia's best-known and most talented riders, Richie Porte, will be in the line up for the 2019 edition of the Jayco Herald Sun Tour. Porte will lead his new team TREK-SEGAFREDO over 600 kilometres through the tough Victorian landscape in a race that will include five climbs of the famous ascent at Arthurs Seat. The Tasmanian is looking to join the honour roll of winners that include Sir Bradley Wiggins, Chris Froome, Simon Gerrans and Baden Cooke. Porte told the Herald Sun he is riding the race for a very good reason - "to win it". The 66th edition of the event will be a big component of a busy Australian summer for Porte, with Race Director Scott McGrory elated such a high calibre talent will be taking on a raft of WorldTour team riders, with teams to be announced shortly. 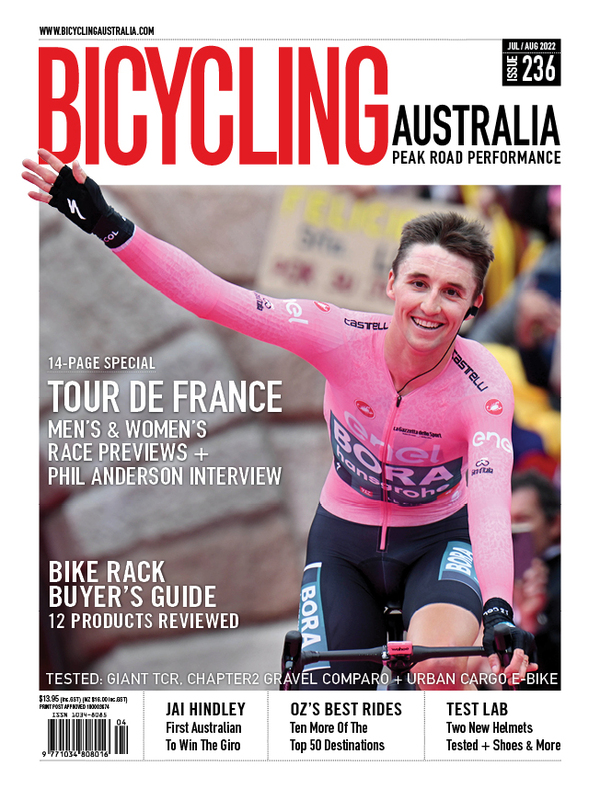 "Richie brings enormous experience to the race, and I'm sure the crowds will get out to support one of the best Australian cyclists of this generation. There are so many great vantage points to watch the Tour and no doubt plenty of fans will wish him well with his new team". 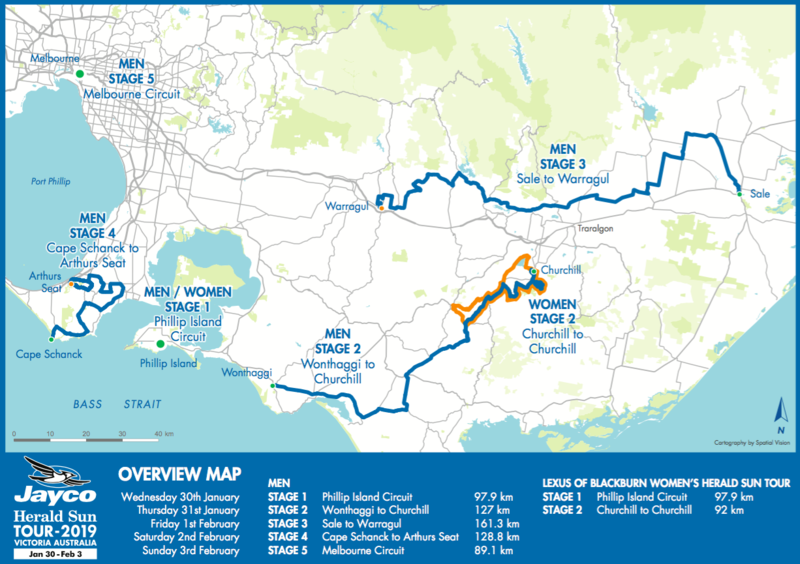 The complete tour is across five days with the Lexus Of Blackburn Women's Herald Sun Tour again showcasing the best female riders January 30-31 2019, with the men riding January 30 to February 3 2019. Stage 3 is from Sale to Warragul, while the 'queen stage' at Stage 4 sees the riders go from Cape Schanck to Arthurs Seat. "The 2019 course is truly spectacular and one of the best courses I think I have ever seen for this race so I’m really excited to see how the riders themselves like the course," McGrory said. 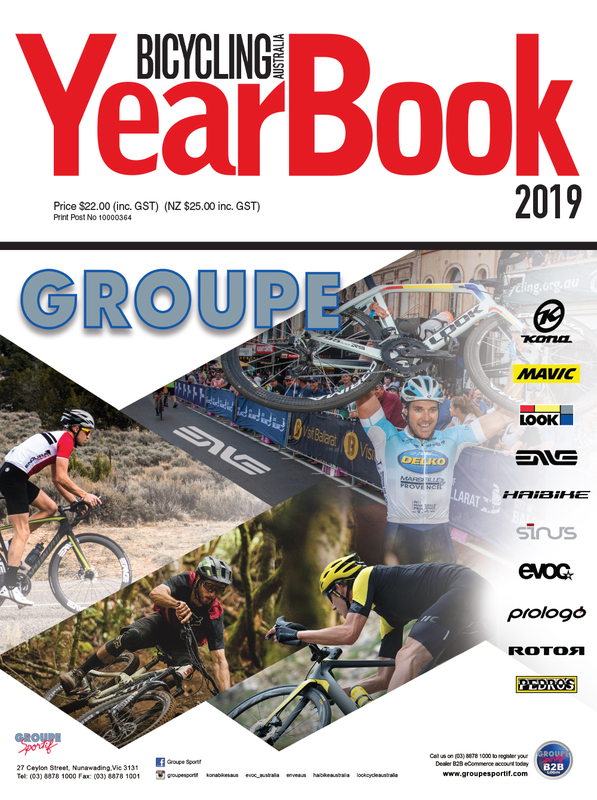 "It has a real mix of stages that the fast riders can go for but also in terms of the overall classification – the winner will truly be a top class international cyclist because the climbing stages are very difficult. "It’s also very spectacular. Definitely at Phillip Island, we all know that place as we see it every year on TV with the MotoGP. And then when we go down into Gippsland which I believe is very underrated by the cyclists around the world just how beautiful and diverse Gippsland is. And the two stages we have through there are both spectacular – one quite difficult and hilly and the other geared towards the sprinters a little bit more but both of them will be fun to race. 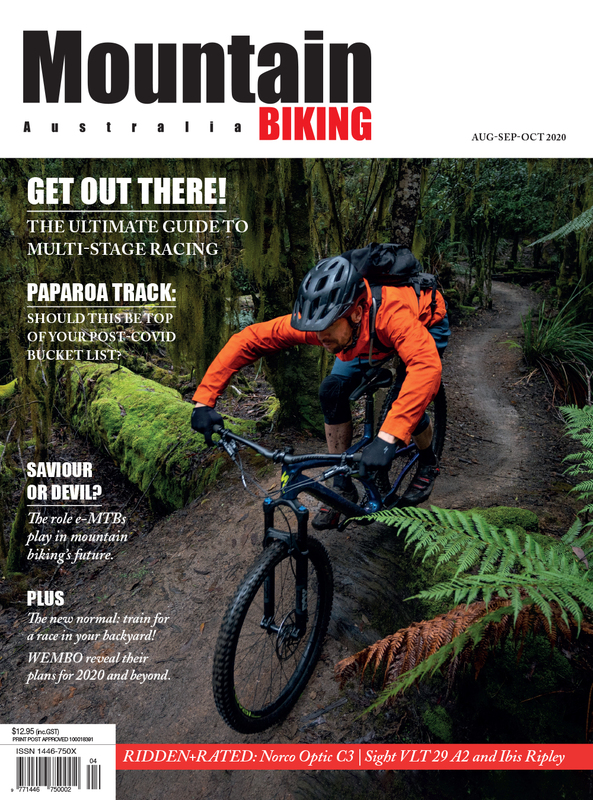 And then we get to stage 4 at Arthurs Seat – which will be brutal. The winner of the stage will more than likely be the winner of the Tour overall but not necessarily the case. Starting at Cape Schanck and coming up to Arthurs Seat will really showcase the Mornington Peninsula. We are bringing the race again into the Melbourne CBD, and race the final stage around the Botanic Gardens is also a fantastic spectator activation. It should be one for the sprinters but it could also be one for the opportunists."